Hibernation or Stoking the Fire. Your Loss or Gain. I want to share some info on a few veteran businesses you should know in. By the time the next year rolls around I expect this list to be very long. Our goal today is to highlight some companies that you might not know about. 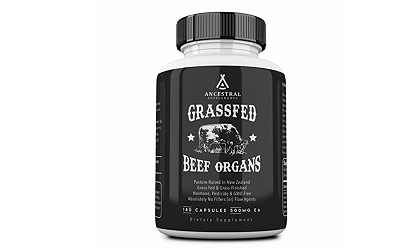 Most of this information was gleaned from their company website’s “About Us” section. My list isn’t an exhaustive one but it has some pretty interesting companies on it. The warriors who created the businesses I listed in this post turned their drive and passion into something pretty cool. All of the companies were founded by Navy SEALs. Navy SEALs are trained for leadership excellence so its no wonder they would take that and apply it to the business world. If you get some time on a chill, Sunday morning, we recommend that you check them out. Half-Faced Blades makes killer looking blades and offers apparel. Half Face Blades has made simplistic blade designs for consumers who demand the finest products to be used in a variety of settings. 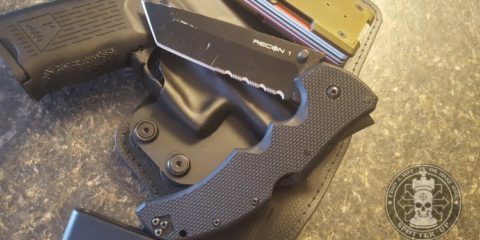 Half Face Blades was founded by Andrew Arrabito, Navy SEAL (ret. 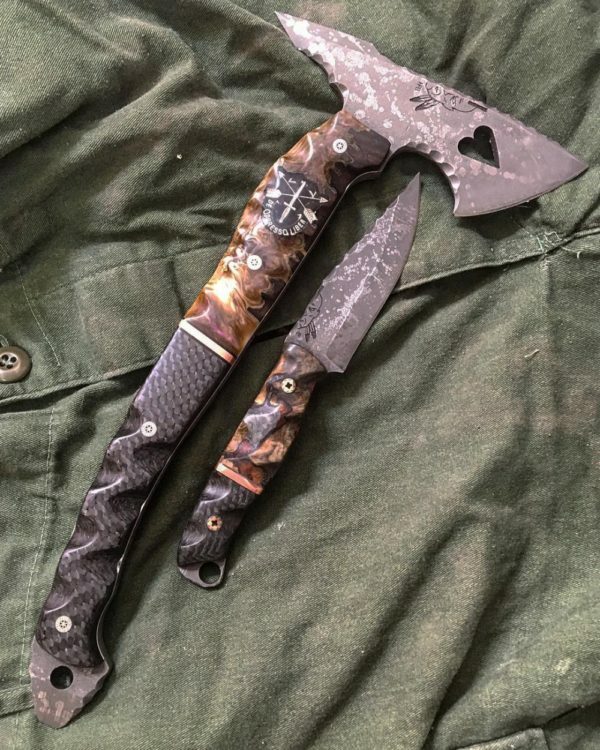 ), to meet the need for high-quality, “go to” knives and axes – usable, personalized, functional, versatile tools that work for every person in every walk of life. Andrew grew up hunting, camping and fishing in the great outdoors. After high school he joined the US Navy, determined to achieve the honor of serving in the United States Navy SEAL Teams. It was during his time in the Teams that Andrew decided to bring the “end user” back to the beginning, to learn blade-smithing. From the beginning, Andrew’s goal was to make simple blade designs for consumers who demand the finest products. With his real-world experience in using cutting devices in super-charged action, Andrew understands what will be demanded from his blades. And he makes them to meet those demands. Half Face Blades knives are designed with the distinction and ruggedness required for the work they are intended to do. 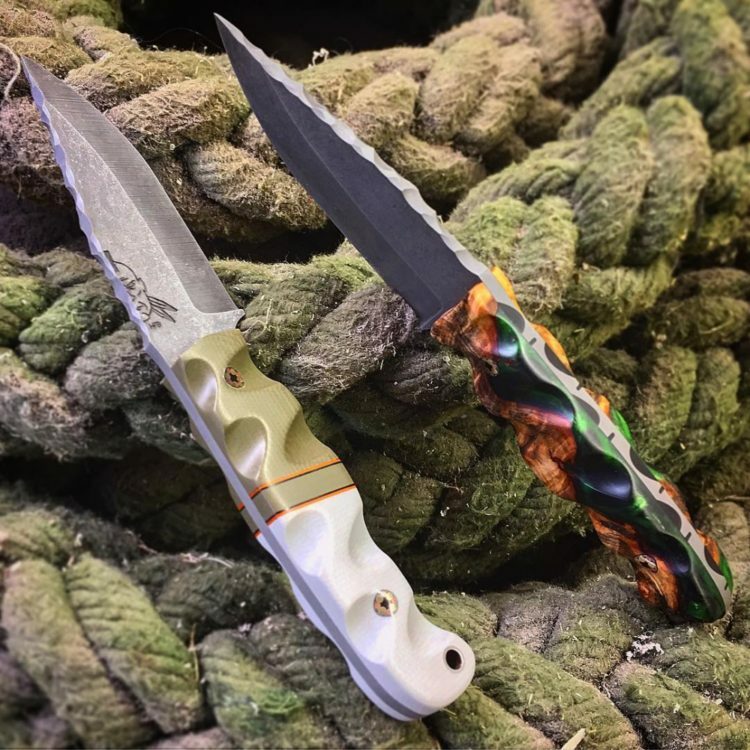 Each knife is calculated to meet requirements gained by experience, by testing knives and axes, by using them over time at sea and in remote wildernesses. HFB knives bring the soul of rugged, dependable, combat knives and tools to a variety of settings – from special operations tools for warriors, hunters and backpackers, to knives for the kitchen and great American workers. Because HFB believes in giving back to those who have gone before them, those who have given their lives for a greater purpose, they support associated charities and foundations in their fundraising efforts. At present, those charities include, SEAL Future Fund and Mission Volant. American Lifestyle Clothing Brand founded by Navy SEALs with strong foundation in the Military, Law enforcement and Crossfit communities. Since day one Forged has given back to the community that has molded it into what it is today. A portion of every sale is donated to several military affiliated, non-profit 501(c)3 organizations to help wounded veterans and their families cope during times of recovery. We also create specific tribute t-shirts to honor our fallen Brothers who paid the ultimate sacrifice. A percentage of each tribute t-shirt sold is donated to the Navy SEAL Foundation or a specific charity in their Honor. Forged prides itself by partnering with highly ranked military affiliated, non-profit organizations to continue giving back, just as it began doing so long ago. Proudly Built in America. 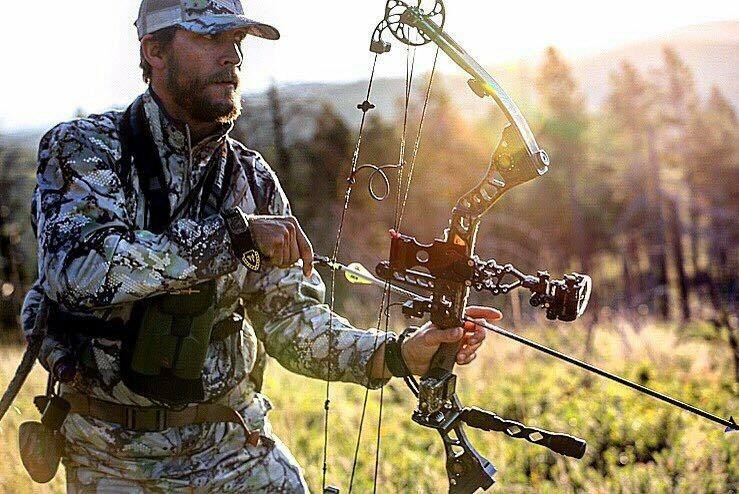 Versatile and Lightweight Hunting Gear. 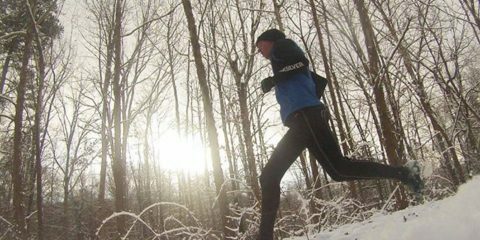 Clothing: Base Layer, Tops, Jacket, Pant, Soft Shell…and more. Predator Warpaint is the first camo face paint to incorporate the latest in sunscreen technology to protect against the sun’s damaging rays. They proclaim to have built the next generation of camo face paint based on a glaring need that their founder identified during military service in the SEAL Teams. Their formula is SPF 50, water resistant, sweat resistant, non-migrating, and overall extremely durable in the most extreme environments. They provide customers with the most effective camo face paint, period. 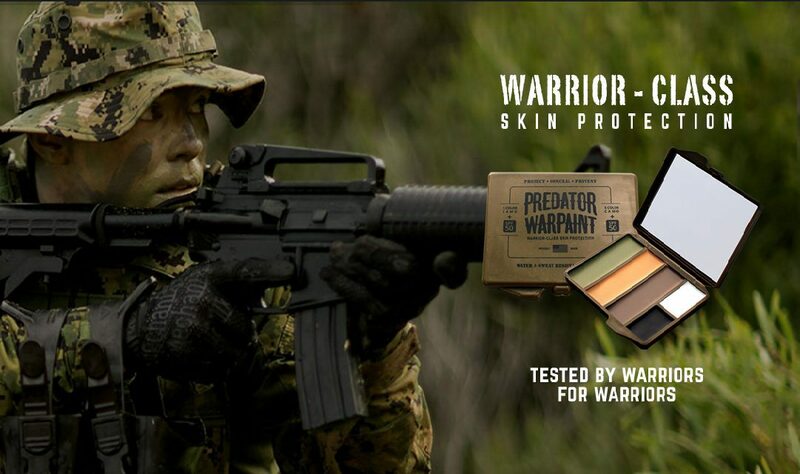 Predator Warpaint is a veteran owned company that is committed to making our high quality products in the USA. Read our article about them here. Timepieces designed for high performance and high class. Resco was not conceived overnight but rather over many years of careful planning and consideration. As a matter of fact, R.E. dreamed of building a watch company many years ago but due to the dynamic nature of his “Day Job” things had to be put on hold. During this time, designs were refined and plans were laid just waiting for the right time to be set into motion. In 2009, the time was right. Founded in 2009, Resco Instruments set out to build a sleek, simple and rugged timepiece. This vision was realized with the production of the Gen1 Patriot model which now graces the wrists of over 100 active duty US Navy SEALs. Their watches are built and tested in Coronado California. The Patriot line is the only watch that has been field tested through every phase of NSW training by actual operators providing feedback and design input. The result is one very rugged timepiece worn by more actual SEALs than any other watch claiming to be the “Official Watch”. While there is no official watch of the US Navy SEALs, if there ever were one, the Resco Patriot is it. They pride themselves on being an American brand. All of the watches are designed, assembled and tested in Coronado USA and bear the name of their hometown on the base of the dial. Resco has also produced the Gen1 Re-release Patriot, Gen2 Patriot, BullFrog, BlackFrog, Hooper, Manus Chronograph, Red Circle, Kauffman, UDT, RTAC GMT and Ladies Sea Pearl. Due to the nature of R.E.’s busy military schedule, Resco must limit production to 600-1000 watches annually. These numbers will grow in the coming years but will never breach 3000 watches in any one year. They invite you to browse their site and ask any questions that you may have. They enjoy the personal interaction with their customers and welcome any feedback you may have. Froglogic Concepts, LLC. was created by Navy SEAL David Rutherford in 2006. David and his teammates at Team Froglogic hope to bring a fresh approach to the world of motivational speaking, corporate team building, self-help books, and inspirational videos. 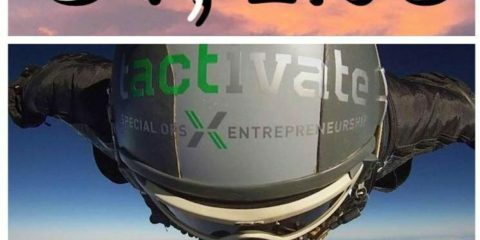 They are determined to entertain, inspire and help people around the world by supplying powerful motivational training programs and content. As one of the best motivational entertainment company’s in the industry, David and his elite squad offer to motivate through a variety of media outlets and retail options. Their mission is to design lighter and more practical equipment for every environment. Providing military equipment including Night Vision accessories, Medical Stretchers, Search and Rescue tools and revolutionary equipment to serve our military. Their personal experiences involving continued operations in multiple theaters have led to a basic foundation – ounces equal pounds and lighter warriors are faster warriors. They constantly strive to provide warriors with the most effective and efficient gear possible. Their mission does not end at their own pursuits. 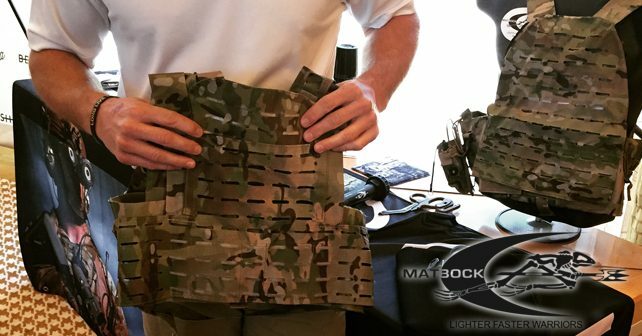 MATBOCK is a team of warriors dedicated to helping fellow warriors move their ideas from paper to production. Concentrated liquid energy packs that are sugar free and calorie free. 160mg of caffeine and just enough awesomeness to join the revolution and #KickTheCan. Read our article here. Strike Force is a small American Veteran owned business. The owner is a former Navy SEAL and understands the importance of a healthy alternative to energy drinks Every Strike Force Energy drink is an energy infused high powered liquid flavor pack water additive. Each pack turns your ½ liter water into a full flavor high energy. Every Strike Force Energy packet contains less than an ounce of fluid that can be mixed with other beverages. 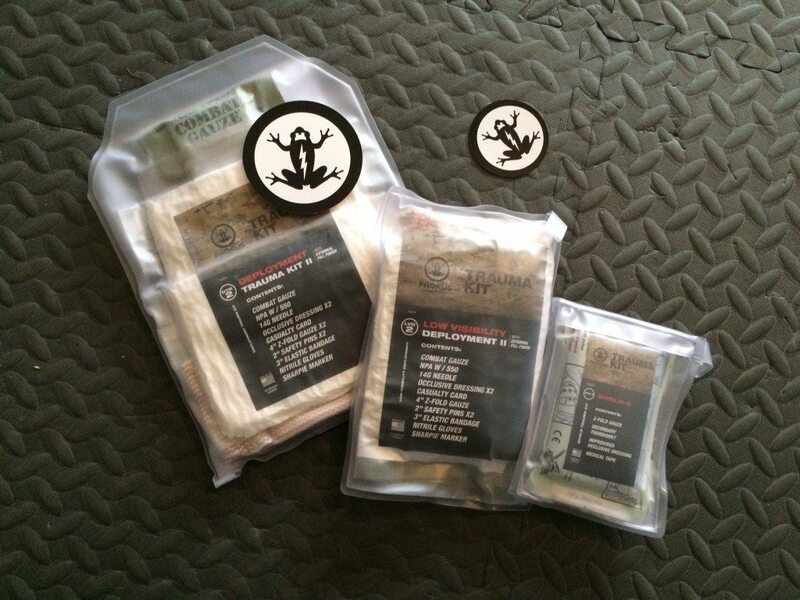 Small single serving packets provide the mental and physical edge for the most extreme conditions and alleviate the standard energy drink can bulk. Strike Force Energy also offers a 100 serving, 750ml glass bottle with pump for easy addition to all your favorite beverages. Phokus has successfully established themselves as patent holding inventors, consultants, and hands on facilitators; capable of taking ideas from discovery. 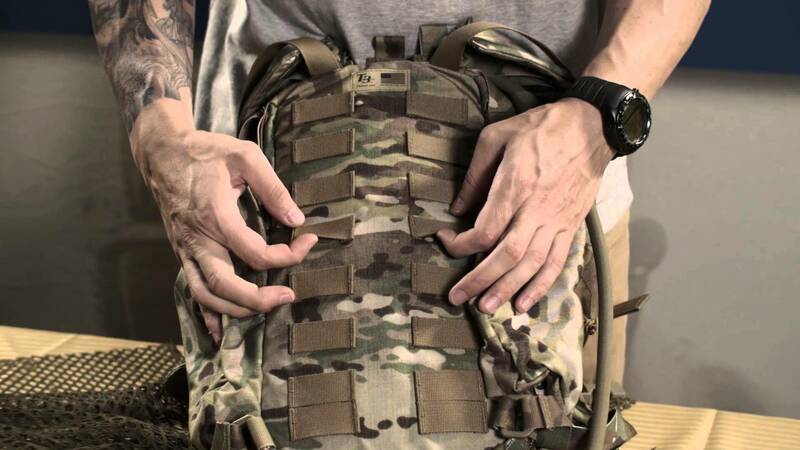 They make items such as military and law enforcement trauma kits. Read our article here. 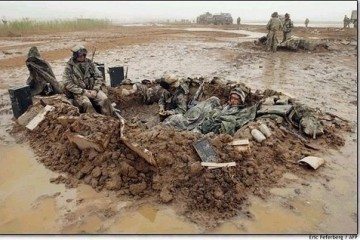 Phokus had a new innovation born out of multiple deployments and combat experiences and no clue how to commercialize it. 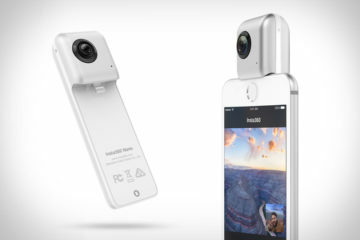 With a Patent pending and a Non Disclosure Agreement in hand, the founder showed his product to several manufacturers. One of them actually liked it. He negotiated a royalty agreement – life was good. Several years into his agreement, the manufacturer informed him that due to a small clause in their agreement he would stop paying the royalties. The manufacturer continued to sell his innovation and made many millions of dollars. Second Innovation – this time he had a clue from his earlier experience. He founded Phokus Research Group with a business partner to protect his ideas and every end user with whom they partner, from the discovery of a great idea through delivery and commercialization. Ensuring their partners succeed through this process is the partnership Phokus delivers. Created by former US Navy SEALs, T3 offers the best selection available of outdoor survival equipment & outdoor tactical products. 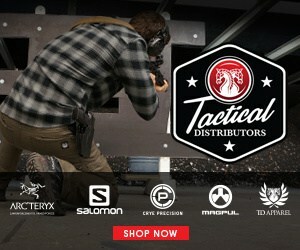 T3 — Trident Tactical/Technical is a singularly unique manufacturer and distributor of the highest quality tactical and technical equipment. Their headquarters and first retail location opened August 2010 on Trident Way on the Naval Amphibious Base (NAB) Coronado. Their unique presence on (NAB) puts them right next to the West Coast SEAL Teams and the training of all new SEALs, the famous Basic Underwater Demolition/SEAL Training. There is no commercial location anywhere like theirs. 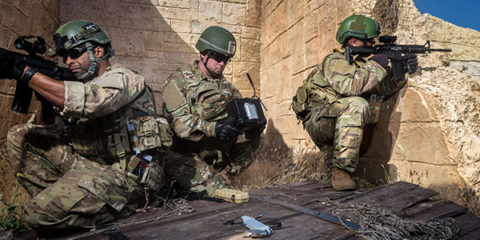 Through this proximity and access to U.S. Special Operations Command Unit, T3 is aware of the SEAL’s latest tactics, techniques, procedures and requirements. The knowledge base of T3 – driven by this contact – isn’t possessed by anyone else in the tactical equipment or high-end outdoor product industries. 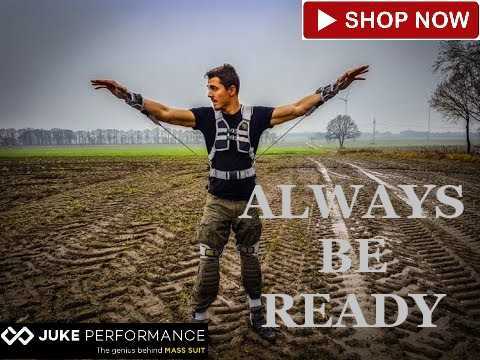 TRX was born of necessity in the Navy SEALs. After TRX founder and inventor Randy Hetrick graduated from college at USC, he spent the next 14 years serving as a Navy SEAL commando. His operational career culminated as a Squadron Commander of the SEAL’s elite special missions unit where circumstances inspired him to experiment with what would become TRX. SEALFIT was developed by retired Navy SEAL Commander Mark Divine for the unique and specialized needs of professionals seeking to reach their fullest potential, for first responders, industrial athletes and militaryforces and life-long warrior-athletes to perform their jobs and come home safely. The definition of “grinder” is the concrete-asphalt area at BUD/S where the students do their calisthenics workouts. It is surrounded by pullup bars, dip bars and the instructors, training officer, and commanding officer’s offices. The Grinder PT Workout has been developed out of a concern for those future BUD/S candidates who may not be as prepared for SEAL training as they thought they were. SEALGrinder PT was founded by former Navy SEAL Brad McLeod. He offers training, fitness, coaching, gear, books, and a member forums for those with the Warrior Mindset. Since September 11, 2001, a new generation of leaders has been forged on the front lines of war. Leadership theories have been tested by raw combat. Hypotheses have been put through trials of fire. Lessons have been written in blood. The US Navy SEAL Teams have been at the tip of the spear in this conflict and at the forefront of this transformation in leadership. They offer practical, experience-based solutions to complex problems based on their own lessons learned through a myriad of dynamic leadership challenges. They don’t teach theory learned in a classroom. They offer unique personalized service designed to get your team executing at the highest level possible. Trikos trains dogs with the ability to be integrated into your household and daily life. Trikos dogs are tested and retested in a variety of social and environmental situations. They provide dogs to DHS, U.S.Customs, Border Patrol, TSA, Dept. of Defense and private individuals. Their lead trainer, Mike Ritland, has trained hundreds of working dogs and specializes in protection dog training, military dog training, police dog training, and guard dog training. He has over 15 years experience in importing, breeding, raising, and training multiple breeds of working dogs. Prior to founding Trikos International, Mr. Ritland was a multipurpose K9 trainer for U.S. Navy SEAL Teams. He served 12 years active duty as a U.S. Navy SEAL and is a disabled combat veteran. Mr. Ritland also founded the Warrior Dog Foundation, a non-profit Special Operations K9 retirement foundation. Hurricane Group, Inc. (Formerly Force 12 Media) began as an online military news and entertainment outlet founded in 2012 and has organically grown to a multi-channel digital network. Several market-leading brands deliver authentic content, information and products to a diverse set of consumer audiences. The company has also established itself as a go-to resource for on-scene experts and real-time analysis of breaking conflict, humanitarian and other crisis event news across the world. Industry Threadworks was founded by Ryan Williams, a former Navy SEAL & experienced entrepreneur. As he was building his previous apparel brands, he noticed that most print shops were notoriously unreliable, inaccurate, and generally difficult to deal with. After hearing from many of his peers who had their own companies and were dealing with similar issues sourcing apparel, he decided to create Industry Threadworks to address those common problems. In doing so, he created an accurate, reliable and friendly solution for companies that want to place a turn-key order package, and return to focusing on running their own businesses, having peace of mind that their product will be printed correctly and delivered on time. Chris Osman is a disabled Veteran, who started his career as a U.S. Marine seeing combat in Somalia. Chris then joined the Navy and became a SEAL after graduating with BUDS class 215. Chris performed in numerous classified operations in the Arabian Gulf, as well as combat in Afghanistan immediately after 9/11. 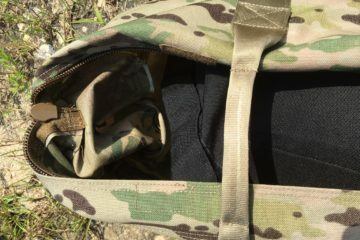 During his time in the military he noticed a significant gap in the gear he was being issued vs. what was really needed for operations. So, in 2001, Chris founded Tactical Assault Gear (TAG) a multi-million dollar global supplier of tactical equipment, which he sold in 2010. 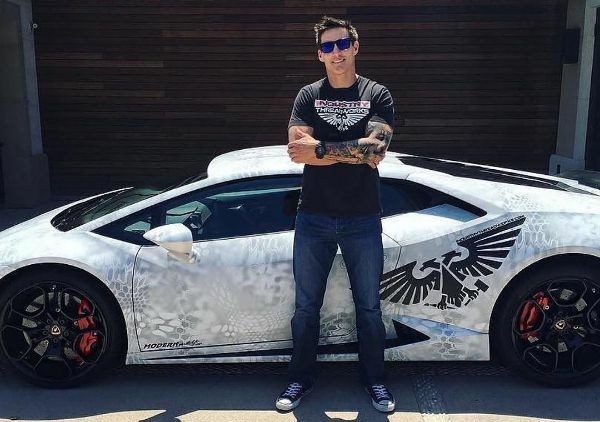 Leveraging his product knowledge and business experience, Chris wanted to bring the same type of high quality, made in America products to the motorcycle industry. Being an avid rider, Chris could never find any products that were either Made in the USA, were built for function and performance or that were of high quality. 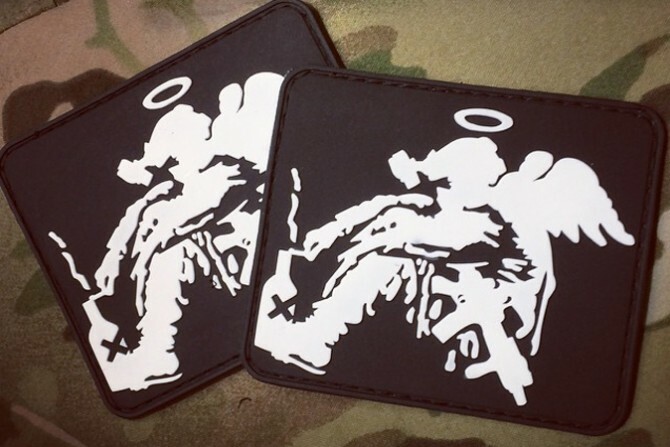 With that in mind their Mission is simple; COD™ will only sell products that have been battle tested or brands that are proven to be best in class that you can rely on. Along with 17 years of design, manufacturing and product distribution experience, they have an unwavering commitment to quality, innovation and customer service. All Chris Osman Designs™ branded products are made using the same materials and exacting standards as all gear used by SEALs, Marines, Rangers and Special Forces units in the United States. Which is why they are proud to offer the only lifetime, no questions asked warranty in the motorcycle industry. Chris is a former US Navy SEAL and the founder of INVICTVS Group, a Special Operations Consulting Consortium. He holds a master’s degree in Physician Assistant Studies (MPAS) from the University of Nebraska Medical Center and was the CEO & Founder of two Medical Device Distributorships, specializing in disorders of the spine and aging spine. ​Immediately following the termination of Osama Bin Laden on May 2nd 2011, Chris emerged as the news media’s most featured Special Operations subject matter expert. As a result, Chris has appeared in hundreds of interviews on Fox News, CNN, MSNBC, HLN, CBS, ABC, NBC, and many other Cable News Networks and radio networks. 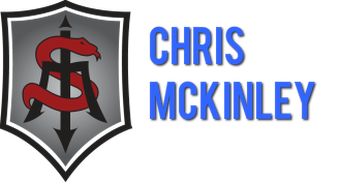 ​Chris continues to appear often in the media, providing expertise and relevance on a variety of topics relating to Terrorism, Special Operations and the world Military community.  The Red Frog curriculum is developed by former Navy SEAL Garrick Fernbaugh. Instructor and Master Trainer, he has conducted real world training for 20+ years. 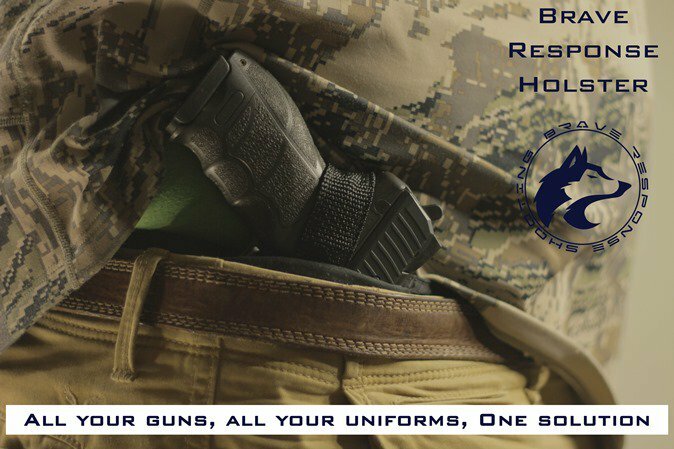 Now specializing in : PSD Operations, Security Consulting, Tactical Training and Advanced Tactical Skills. Garrick gave 20 years of service to the US Navy [1988-2008]. He immediately followed his experience as a Navy SEAL working a clandestine contract in Afghanistan. He continued his service to the country for another 6 years, working for a US government agency. His combined experiences and education qualify Garrick as a SME in terrorism, security, and tactical training. 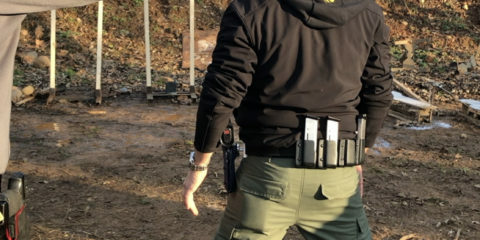 Garrick also has extensive experience in personal protective operations, having received training from US Secret Service, DOS, Blackwater, and the CIA. His experience has been validated in Iraq, and Afghanistan, as well as limited PSD operations in CONUS. Most recently, Garrick conducts threat assessments to identify risks and vulnerabilities at a variety of venues. He remains relevant studying trends in terrorism, and various attack profiles at locations throughout the United States. APG helps clients develop the mental toughness, leadership and team building skills needed to thrive in demanding environments. 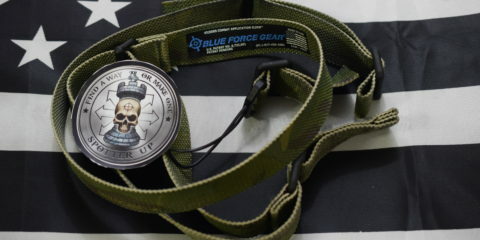 Their core foundation is forged in elite teams – US SEAL Teams and Special Operations Forces. They combine military, business, athletic and performance psychology best practices to deliver immersive, experiential training programs, corporate retreats and custom-made events for clients around the world. As former Navy SEAL’s, Acumen Performance Group knows how to thrive in dynamic, volatile environments. They have fused their experience from deployments into austere environments and their higher education to create an experience that uses a collaborative approach to consulting that works from the inside out to insure lasting change.